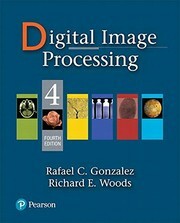 Introduce your students to image processing with the industry's most prized text For 40 years, Image Processing has been the foundational text for the study of digital image processing. The book is suited for students at the college senior and first-year graduate level with prior background in mathematical analysis, vectors, matrices, probability, statistics, linear systems, and computer programming. As in all earlier editions, the focus of this edition of the book is on fundamentals. The 4th Edition, which celebrates the book's 40th anniversary, is based on an extensive survey of faculty, students, and independent readers in 150 institutions from 30 countries. Their feedback led to expanded or new coverage of topics such as deep learning and deep neural networks, including convolutional neural nets, the scale-invariant feature transform (SIFT), maximally-stable extremal regions (MSERs), graph cuts, k-means clustering and superpixels, active contours (snakes and level sets), and exact histogram matching. Major improvements were made in reorganizing the material on image transforms into a more cohesive presentation, and in the discussion of spatial kernels and spatial filtering. Major revisions and additions were made to examples and homework exercises throughout the book. For the first time, we added MATLAB projects at the end of every chapter, and compiled support packages for you and your teacher containing, solutions, image databases, and sample code. 9780133356724 PDF is available as a free download.